We have worked extensively on National Grid Properties sites, surveying many gas holder sites all over the country. Recently we were commissioned by Advisian to work on a topographic survey that would allow them to monitor water levels. Often with surveys, there is not a one size fits all solution which means using a combination of surveys. When we surveyed the Aylestone Road Gas Depot site in Leicester, we used a combination of GNSS and total station to pick up individual points. The client required ground levels and coordinates for five river sampling locations and 39 monitoring wells, some of which were difficult to access. 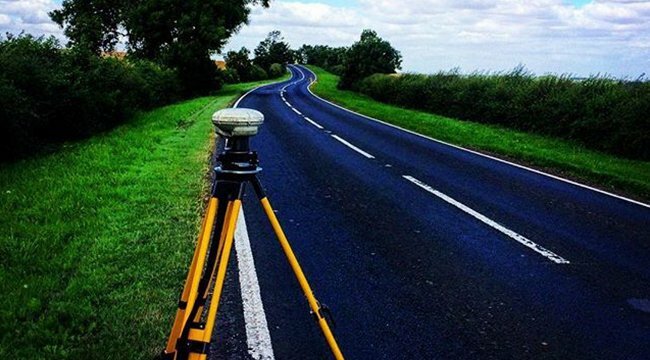 For the easier to access locations, we were able to measure them using GNSS alone. This lead to ease of capture and verification of the data points. Other points, which were obscured by dense woodlands or were located under bridges were surveyed by using a total station traverse from an area where GNSS positioning was achievable. The benefit of using the traverse in conjunction with GNSS is that we were able to gather a few data points to establish measurements instead of extensive angular and linear observations. This limits the time we were at each location and minimises the disruption at the sites. After the surveys, the client was supplied with a list of monitoring well and sampling locations and levels in a Microsoft excel spreadsheet. The client was then able to add these locations to their existing topographic survey in order to accurately record water levels across the site. This will help them to monitor water levels across the site will allow the client to recognise changes and take action over the course of these changes. We are proud to be able to provide our clients with quality data which they can use in the future projects.